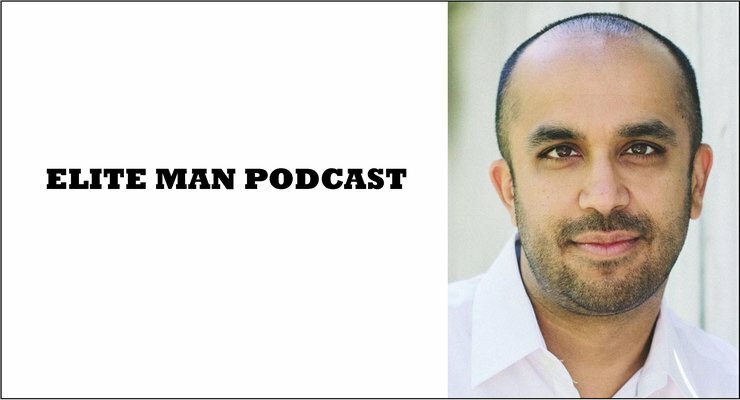 Neil Pasricha, New York Times bestselling author, award-winning blogger, and Tedx speaker, joins our show in this special episode of the Elite Man Podcast! In today’s episode Neil talks about developing the correct equation for happiness and constructing the right formula for resiliency. He dives into the often overlooked keys to being happy and content in life and shares with us his own method for obtaining tangible, everyday happiness. Neil goes on to share his 3 best tips for building up your resiliency in life and what he recommends we all do to harness the power of getting back up no matter what comes our way. If you’re wondering how to become happier in life and how to get over any life challenge that knocks you down, check this episode out now! *Powerdot is the world’s smartest muscle recovery and performance tool. It uses different electrical Hertz ranges to activate specific muscle fibers, forcing them to contract. Why do you need to increase the number of muscle fibers that contract? Simply put, so you can jump higher, lift more, run longer and recover faster. And Powerdot helps you do just that. It’s a personal E-Stim device that connects to a mobile app via Bluetooth so you can take it with you anywhere. Powerdot’s E-Stim benefits can also help prevent injury by activating muscles before you workout, train, or compete. Powerdot also reduces soreness, knots, strains, and pulls from workouts or stresses brought on by everyday life. I recently got my own Powerdot device and although I’ve only had a chance to use it a couple of times, I already love it! In fact, I used it earlier today after my chest workout at the gym and felt great about half hour after using its muscle recovery mode. I can’t wait to see how much this adds to my post-workout recovery times and decreases my soreness, especially on leg days! Yup Powerdot is awesome and I’m pumped to have my own at-home unit! And now you can get your own at-home unit to use for performance and muscle recovery too. Powerdot is giving my listeners a chance to win a Powerdot unit! Go to Powerdot.com/eliteman for more info on how to enter, and use code “eliteman” at checkout to get 20% off your order. That’s Powerdot.com/eliteman for your chance to win and remember to enter my code “eliteman” to get 20% off your order. That’s Powerdot.com/eliteman and don’t forget to enter “eliteman” at checkout for 20% off your order.